Enjoy two hours of free-flow beer & finger food, at a great price! It's a good opportunity to make new friends and meet interesting people. TEG Mingle is a two hour social event with free flow of beer and finger food held at a different restaurant-bar in Klang Valley every month. It's a great place to hang out with friends and meet new people. Enjoy two hours of free-flow beer & finger food at a great price! Come meet some interesting people and make new friends! TEG Mingle is a two hour social event with a free-flow of beer and finger food held at a different restaurant or bar in the Klang Valley every month. It's a great event to bring friends and hang out or to meet new people. Not a member yet? Learn More about TEG card. Note : Due to the fantastic response of our previous Mingle Events, pre-registration is highly encouraged. Some venues have very limited space, so make sure to book your spots for a great night ahead! We are just a call or email away. If you pre-register for the Mingle but later realise you are unable to attend, please call and cancel your reservation so we can release the spot. If you register for the Mingle but later realise you are unable to attend, please be certain to call and cancel your reservation. 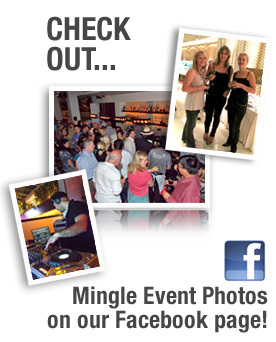 To see reviews and photos of our previous Mingle Events, visit here. Penang International Mingle is a two hour social event with free flow of beer and finger food held at a different restaurant-bar in Penang every two months. It's a great place to hang out with friends and meet new people. Join us at Penang for free-flow beer, great finger food, and what's sure to be a memorable Mingle. If you register and later realise you cannot make it, please call so we can offer your space to someone else. The Expat Johor Mingle is a two hour social event with free flow of beer and finger food held at a different restaurant-bar in Johor every two months. It's a great place to hang out with friends and meet new people. Join us at Johor Bahru for free-flow beer, great finger food, and what's sure to be a memorable Mingle.